all this is enhanced by three-dimensional surfaces and decorations which make “More” a real architectural material, versatile in any commercial or residential context, indoors or out. 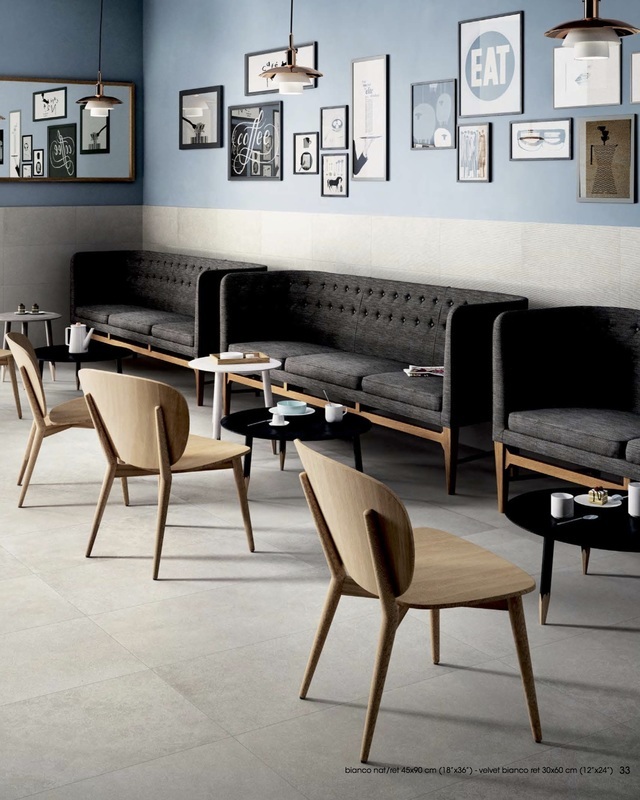 The three three-dimensional surfaces extend installation options and provide furnishing solutions for environments of all kinds: “Muretto”,“Velvet” and “Design” are structures with an original character, ideal for personalizing even the most elegant projects. 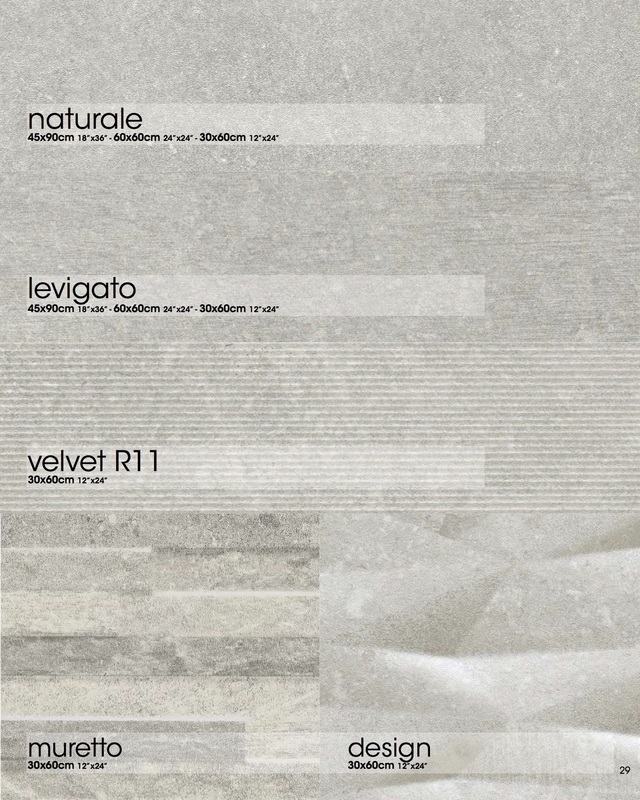 The “Velvet” surface is an ideal decorative wall solution, but also for creating a non-slip floor thanks to its three-dimensional structure which increases the grip coefficient, making it perfect for damp interior areas or for furnishing outdoor spaces.